Vietnam has huge potential in terms of geography and wind power resources to generate electricity, experts have said. The western part of the East Sea bordering southern Vietnam is one of two areas with an average wind speed at sea of 10-11km per hour, according to research from the Vietnam Institute of Seas and Islands under the Ministry of Natural Resources and Environment (MONRE). The water from the central province of Binh Thuan to the southernmost province of Ca Mau – especially the area 300km from the shore – has wind speed of 7-11km per hour on average, making it one of the areas with the highest potential of generating electricity from wind energy in the world, according to the research. At a height of 80 metres from the surface of the East Sea, the extended area in the northeast-southwest direction from the Taiwan Strait to waters off Vietnam’s southeastern region has power capacity of 600-800W per square metre per year. Waters off the South Central Coast have power density of 400-700W per square metre, and those off the Gulf of Tonkin have power density of 400-500W per square metre. Forecasts from wind power experts show that wind power from the country’s sea will continue to increase, alongside wind power from mainland, reaching 100GW and higher by 2030. Large areas of sea have potential for developing offshore wind power constructions, according to Dr Du Van Toan from the Vietnam Institute of Seas and Islands. He cited the 142,000sq.km sea area in the southern region and the 44,000sq.km sea area from the central province of Binh Thuan to the southernmost province of Ca Mau. Statistics from 1,500 wind farms in the country (some are in the process of developing further) in the last decade show that the average wind speed of 7-12.5m per second at 100m above sea level generates the most wind power, which is highly effective for consumption and trade. 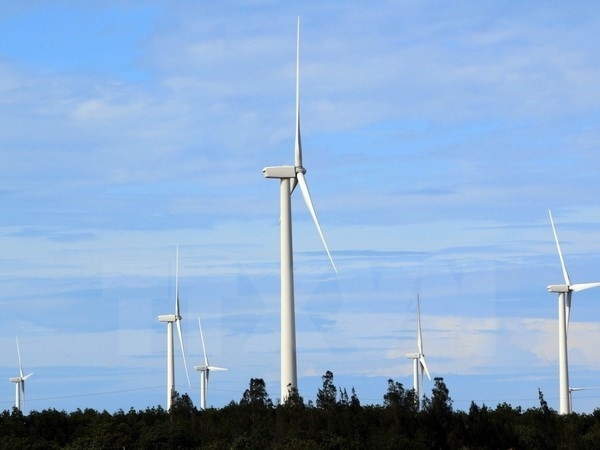 Projects exploiting wind power in Vietnam are developing well, especially two major projects wind farms in the southern Bac Lieu province and southernmost Ca Mau province, which are expected to generate 1,000 MW of wind power by 2020 and 2025, respectively. 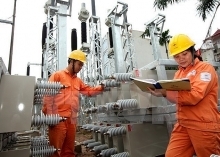 The wind farms and wind power plants have been contributing to the provinces’ budgets by selling electricity to the Electricity of Vietnam Group (EVN). For example, the 100 MW Bac Lieu wind power plant in the southern province of Bac Lieu has been contributing some 76 billion VND (3.3 million USD) per year to the local budget since 2010. It is expected to increase its capacity to 400 MW and contribute some 300 billion VND (13.2 million USD) per year to the local budget soon. On January 16 last year, construction of the 100MW Khai Long wind power plant began in the southernmost province of Ca Mau. It is expected to generate 300 MW of wind power and some 200 billion VND (8.8 million USD) per year by 2018. This high potential should Vietnam to establish a wind energy development strategy which includes developing wind power construction on the sea, said Dr Du Van Toan. “We will be able to further develop the economy and prevent landslides and land erosion if we know how to utilise wind power resources together with other sources of power such as solar power, wave power, ocean thermal energy conversion, as well as biomass energy, aquaculture and aquatic conservation,” he said. “On the other hand, offshore wind power constructions not only create new tourism attractions but also help strengthen the protection of national sovereignty on the sea,” he said.